Here are some tips to ensuring your office space has good feng shui. How messy is your desk right now? If getting through the layers of post-it notes, files and print-outs on your desk could be described as an archaeological dig, using the principles of feng shui could really help boost your productivity and efficiency at the workplace. Originating from ancient China, feng shui is the art and science of precise positioning. It presupposes that the placement of objects affects luck and predisposition towards prosperity, health and happiness and attracting positive energy. You might not go as far as the Hong Kong architects who build ‘dragon holes’ to help positive energies flow through their buildings, but feng shui contains practical advice that can really help optimise your workflow. In the Philippines, we are particular about lucky numbers, auspicious days, time and places as well as words that intimate good fortune. We have seen places in Manila, which have flourished for years while others are in doldrums. Feng Shui is not merely an art form for bringing luck but is often a common sense approach to creating harmony between the mind and body with our environment. Here are some tips to ensuring your office space has good feng shui. 1) Clear the clutter away. It is good feng shui, and it is easier to work in a cleaner, more organised space. You will be able to find your documents quickly, complete your tasks more efficiently and it will leave you with a greater sense of discipline. Make sure you clear the clutter on your computer as well. Just like clearing things in the real world, making sure your hard drive isn’t hard to navigate makes daily working more efficient. 2) Put a plant in the top left corner of your desk. This is the wealth section of your desk, so putting a plant there encourages your wealth to grow. A study done by the US Environmental Protection Agency revealed that indoor air is two to five times more polluted than outdoor air. Having a plant helps oxygenate the air in your office, bringing more oxygen into the atmosphere and helping better blood flow. 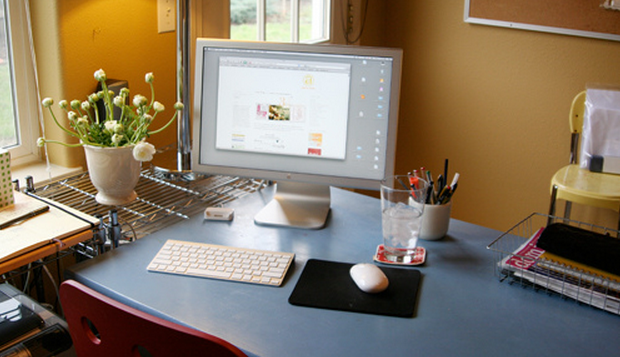 3) Use the front-middle part of your desk for your computer. Filling the Career section of your desk with a computer will boost your business success. Clip articles that inspire and motivate you, and look up occasionally to remind yourself of how far you have come. Daily motivation will go a long way in encouraging you to meet your targets. 4) Keep your home office far away from your bedroom. It is bad energy to work near where you sleep, since you are supposed to keep a good distance between your personal and business life. Having that physical distance allows you to establish a healthy boundary between you and your work, and promotes a greater work-life balance. 5) Ensure good air flow within the office. Air quality is very important in feng shui. 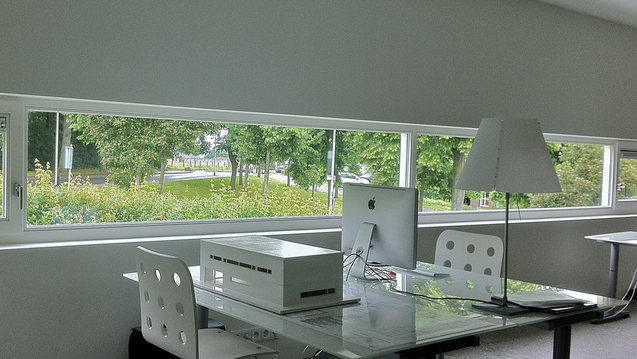 Keeping a constant supply of fresh air is supposed to keep good energy flowing through your office. These may seem like simple tips that anyone can do, but you will be surprised by how little attention people pay to their surroundings. Paying more attention to the place where you spend more than eight hours at every day can have incremental changes for your mood and overall well-being in the office. Lars Wittig is the country manager of Regus Philippines.